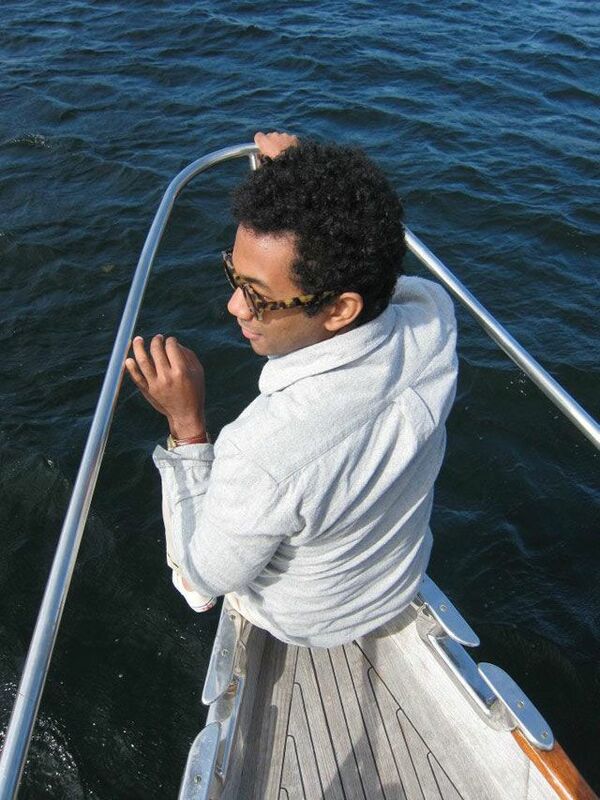 In only a few short years, Chaz Bundick (the mastermind behind dreamy electro-pop outfit Toro y Moi) has gone from recording in his Columbia, South Carolina, bedroom to playing venues and festivals around the world. Ahead of the release of his third album, Anything in Return, and an international tour, we caught up with the artist to find out what he always brings on the road. Surprisingly, very little. 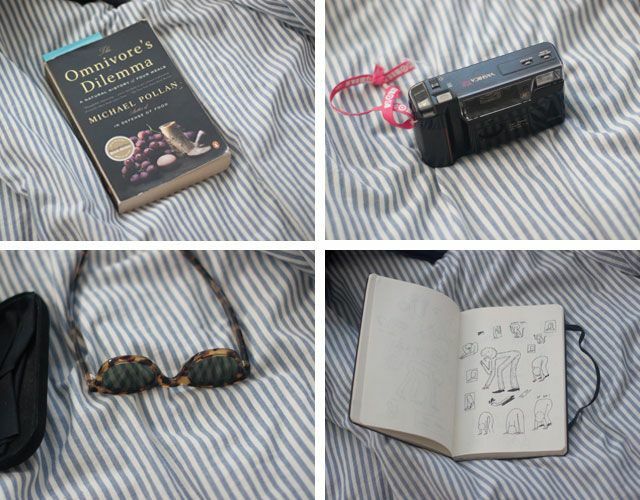 I got robbed once on tour and that made me realize that you can't be so connected to your possessions. The more stuff you have, the more you have to remember to pack when you leave. Now I just bring the bare essentials. French Press/Tea Kettle On tour, I bring an electric tea kettle and a French press to make coffee. We figure that our coffee is usually better than what we find on the roadÂ­--and it's free. We often buy local roasts to brew, though my favorite coffee is Dunkin' Donuts. Laptop My laptop is the one thing I can't forget to bring. It's the main tool for a lot of what I'm doing on tour. It's my music, my tour manager and my communication. Sketchbook I like to draw and I don't write ideas down in my phone or my laptopÂ­--I write them down in my Moleskine sketchbook. I'll pack that and my pen bag; I have a couple of brush pens and I really like fine-lined pens. I like to draw tube-looking things, letters and numbers, animals and skateboarders. Sunglasses My sunglasses are prescription so I'm usually wearing those the whole day. I wear them from the hotel to the airplane to the next hotel. Camera I usually have a camera with me. They range from a digital SLR to my disposables. The thing is, I don't even like to take pictures of tour life or anything. I don't like taking pictures of venues or stuff like thatÂ­--it's more things I find on the side of the road. Camping Underwear I don't know if this is weird or gross, but we bought this camping underwear by a brand called ExOfficio that you don't have to wash very much and that you can wear for multiple uses. When you're on tour, you don't always get to shower every day and what's nice about them is [when you do shower], you can wash them in there and they dry really fast. They're really handy. Socks I only bring two pairs of these thick socks I got from REI. I don't wear socks the whole day--I wear flip-flops. I put socks on when I go to the venue and that's it. It's a good move and saves space. Shoes When it comes to shoes, I carry about two pairs of shoes with me: a light pair of shoes like my white Vans and then my desert boots. Those are good for when we play music festivals and there's a lot of mud. 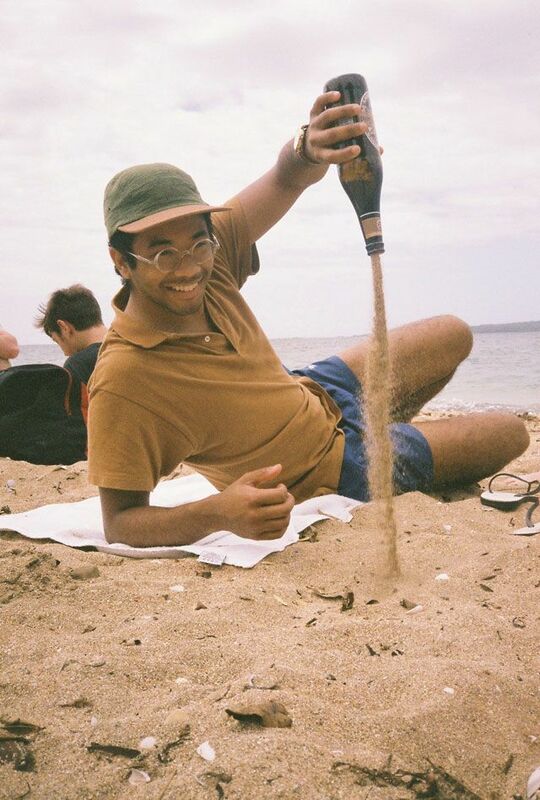 Toro Y Moi's Chaz Bundick On Creating "Live From Trona"